International brands are disproportionately favored in China’s apparel market, undermining local labels, a new report reveals. With double-digit growth for decades, the market has emerged as a key battlefield for brands, says The China Apparel Market: Indigo is the New Blue, a report launched by global consulting company OC&C Strategy Consultants. It says China has surpassed the US to become the biggest apparel market in the world, valued at close to US$300 billion. Its frontrunners predominantly international, with Uniqlo, Adidas and Jack & Jones occupying three of the top five spots, posing an imminent threat to the current domestic champion Heilan Home. Among the top 60 brands in China, the combined share of Chinese players dropped to 59 percent last year, down from 64 percent in 2011. According to the survey, “patriots” of local brands are younger and typically come from lower income brackets. They are also frequent small-ticket shoppers who have less to spend on apparel, which makes “value for money” (40 percent) and “Chinese elements” (39 percent) the top reasons they choose Chinese brands. Shoppers opting for international apparel brands, meanwhile, rate “better quality” (34 percent) and “better design” (33 percent) as their most important criteria. When asked why they don’t but Chinese brands, “poor design” (37 percent) ranked top, followed by “insufficient choices within the same category” (22 percent). “While Chinese apparel brands have gained more acceptance, our research suggests they are still held back by less competitive marketing strategies and product design,” says Chuang. He notes intense competition for customers, especially female in their 20s to 30s, with some foreign apparel manufacturers spending significantly on marketing compared to the 2 to 3 percent spent by Chinese companies such as Heilan Home and La Chapelle. 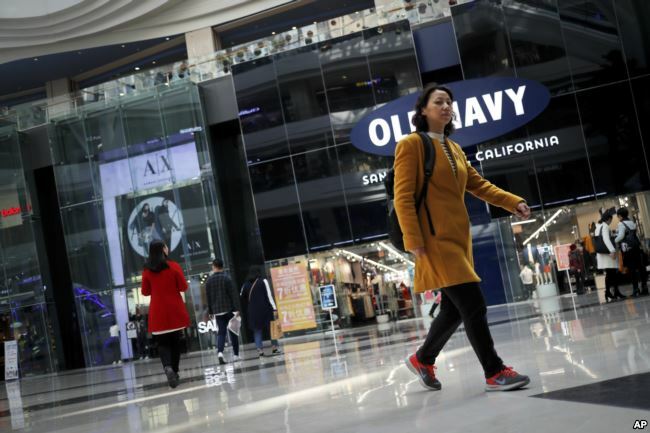 Part of the reason Chinese apparel brands fail to achieve cut-through like their international counterparties is their tendency to distribute through department-store boutiques, often on upper floors, says the report. Meantime, foreign firms such as Zara have the impact of large storefronts at street level. Also, Chinese retailers overuse repetitive price promotions to help clear inventory, diminishing perceived brand value. And despite China’s move to e-commerce, there is still excessive reliance on bricks-and-mortar distribution in the face of escalating rents. The study shows that inventory book value reached 30 percent of annual revenue for some retailers as against 11 percent for Zara, and that many are well below the industry standard inventory turnover rate. OC&C ran its consumer survey over March and April, with 2450 respondents from a range of demographic groups across 22 cities in China. The company has more than 400 consultants in 14 offices globally, including Greater China and India. The Greater China practice has offices in Hong Kong and Shanghai.